So in the first 3 posts we looked at 6 of the common misconceptions about Botox. Hopefully it helped ease your mind about getting the procedure done. Maybe you’re leaning a little more on the other side of the fence. Well, here’s another set of myths we can debunk for you. 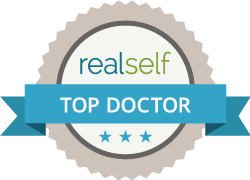 Botox injections require a large amount of downtime. Even with bruising or swelling, which of course is also very unlikely, there is no real downtime or recovery needed. Most patients can just get up and go! Most people resume the rest of their normal activities. The effects of UV rays can diminish the effects of Botox. Okay, so we’ve found one that is actually true. It’s been medically proven that the effects of ultraviolet radiation can break down the composition of the filler.